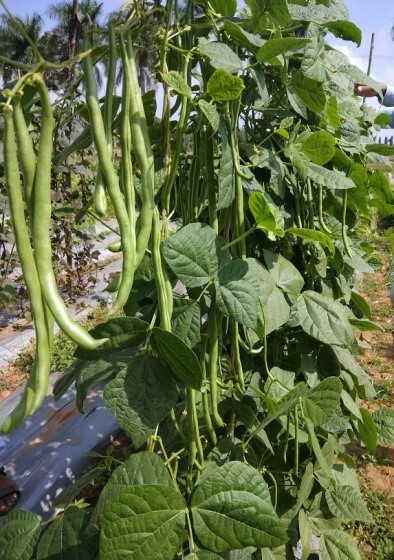 High yielding rust resistant pole bean variety. Plants are indeterminate which grow more than 2.0m in height. Variety takes 60 days for 1st harvest. 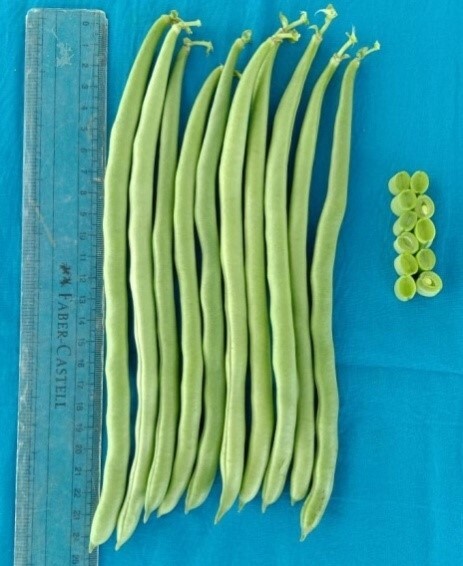 Pods stringless, oval, green and long (23 cm). Ten pod weight:87 g. Yield potential :24 t/ha in 100 days. Suitable for both kharif & rabi seasons.